Port Orford cedar (Chamaecyparis lawsoniana) is endemic to northern California and southwestern Oregon and is considered a foundation species that plays critical roles in riparian areas and on nutrient-poor soils. Since 1952, a non-native, pathogenic oomycete (Phytophthora lateralis) has been spreading throughout the range of the cedar. Most spread occurs by vehicles carrying infested soil along gravel roads primarily used for timber harvest. In a previous study conducted in 1998 and 1999, Port Orford cedar and P. lateralis were censused in a 37-km2 study area and dendrochronology was used to reconstruct the history of pathogen invasion. That work, which represents the only detailed analysis of spread rates for P. lateralis, showed that the first successful invasion into the study area took place in 1977 and that 43% of the susceptible host sites (stream crossings) were infested by 1999. In the work presented here, all sites that were uninfested in 1999 were re-censused in 2012, extending the historical reconstruction of P. lateralis spread to 35 years. Two new infestations were initiated between 1999 and 2012, suggesting that the rate of spread of P. lateralis has slowed greatly. Between 1980 and 1989, the average number of new site infestations was 1.8 infestations per year, while between 1990 and 1999 the average was 0.4 infestations per year and between 2000 and 2009 the average was 0.2 infestations per year. Several potential explanations for the reduced number of new infestations are discussed. Quercus ilex is one of the European forest species most susceptible to root rot caused by the oomycete Phytophthora cinnamomi. This disease contributes to holm oak decline, a particularly serious problem in the ‘dehesas’ ecosystem of the southwestern Iberian Peninsula. This work describes the host–pathogen interaction of Q. ilex and P. cinnamomi, using new infection indices at the tissue level. Fine roots of 6-month-old saplings inoculated with P. cinnamomi were examined by light microscopy and a random pool of images was analysed in order to calculate different indices based on the measured area of pathogen structures. In the early stages of invasion, P. cinnamomi colonizes the apoplast and penetrates cortical cells with somatic structures. On reaching the parenchymatous tissues of the central cylinder, the pathogen develops different reproductive and survival structures inside the cells and then expands through the vascular system of the root. Some host responses were identified, such as cell wall thickening, accumulation of phenolic compounds in the middle lamella of sclerenchyma tissues, and mucilage secretion blocking vascular cells. New insights into the behaviour of P. cinnamomi inside fine roots are described. Host responses fail due to rapid expansion of the pathogen and a change in its behaviour from biotrophic to necrotrophic. Twenty years ago this month, the Wollemi Pine made headlines around the world when it was discovered in a remote canyon in the Blue Mountains, west of Sydney. Dubbed "a living fossil", the distinctive pines captured the world's attention because it was thought they had been extinct for at least 60 million years. The Wollemi Pines, which were discovered in 1994, are about 40 metres tall and are hundreds, if not thousands, of years old. Their trunks are more than a metre in diameter and they have distinctive bark which resembles bubbling chocolate. But the last two decades have taken their toll on the prehistoric pine and its future is now under threat from a soil-borne pathogen called Phytophthora, which most likely walked in on the boots of uninvited visitors. David Crust from the National Parks and Wildlife Service has been managing the original site and said the introduction of Phytophthora caused root rot in several of the pines. "It has impacted on a number of plants and it has caused part of those plants to die back," he said. "Obviously we're really concerned the Phytophthora could spread throughout the population and start to kill individual plants." 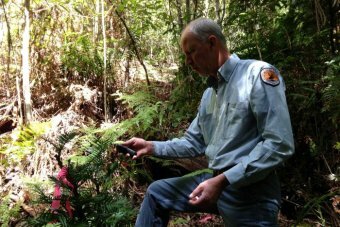 To ensure the species survives, an insurance population of young Wollemi Pines has been planted at another secret location in the Blue Mountains. Abstract This article provides a brief overview of the status of Phytophthora diseases in New Zealand forests. Recent outbreaks of Phytophthora diseases internationally and within these forests, including Red Needle Cast of Pinus radiata caused by Phytophthora pluvialis and Agathis australis (kauri) dieback caused by Phytophthora taxon Agathis (PTA), have highlighted the biosecurity threat these species pose to New Zealand. In isolated cases, Red Needle Cast has impacted P. radiata plantations through the premature defoliation of mature needles. Kauri dieback, caused by Phytophthora taxon Agathis, has resulted in devastating disease within some sites. Preliminary research indicates that both these diseases will respond to treatment with phosphite, consistent with current international Phytophthora management. Ongoing research into Red Needle Cast, Phytophthora taxon Agathis induced kauri dieback and other Phytophthora diseases within P. radiata and kauri is focusing on understanding the epidemiology of the diseases, the chemical and genetic mechanisms of resistance, and also screening for durable resistance to multiple Phytophthora species. Many other Phytophthora pathogens have been identified within New Zealand. These have not been found to cause serious disease in native or exotic forest systems, despite some being known to cause diseases of great consequence internationally. Significant examples include P. cinnamomi, P. multivora and P. kernoviae. As a result of increased global movement of plant material, New Zealand’s and other international forests are vulnerable to new Phytophthora diseases. However, through the world’s best practice adaptive management the threat and impacts of these diseases can be reduced. The sixth meeting of the International Union of Forest Research Organizations (IUFRO) Working Party S07.02.09, Phytophthoras in Forests and Natural Ecosystems provided a forum for current research on Phytophthora species worldwide. One-hundred-and-fourty submissions describing papers and posters on recent developments in Phytophthora diseases of trees and natural ecosystems in Europe, Australasia, and the Americas are included. Research topics covered are Phytophthora adaptation and evolution, climate change, diversity, ecology, ecophysiology, epidemiology, experimental taxonomy, geographic origins, invasion and spread, management, the nursery pathway, pathogenesis and resistance, and population biology. Phytophthora austrocedrae Gresl. & E.M. Hansen is a Phytophthora species that up to now has only attacked needle trees and shrubs. It was first detected in Argentina on Austrocedrus chilensis (Chilean incense cedar, Cupressaceae). This conifer is naturally distributed in Argentina and in Chile. It is the most important conifer species of the Andean Patagonian forest. Disease symptoms had been observed since 1948 (Varsavsky et al., 1975 cited from Havrylenko et al.,1989; summary of the history of Austrocedrus chilensis decline in Filip & Rosso 1999, and La Manna & Matteucci 2012) but the causal agent could not be identified before 2007. In Europe P. austrocedrae had first been reported in UK in spring 2011 in a public park where it could be isolated from diseased Chamaecyparis nootkatensis (Nootka cypress, Cupressaceae) and from C. lawsoniana. (Lawson’s cypress, Cupressaceae). The first cases of P. austrocedrae in the natural environment in the UK were discovered on Juniperus communis (common juniper, Cupressaceae) in the North Pennines, England in 2011. A recently made sequence analysis of an unknown Phytophthora isolate stored in the JKI culture collection showed that this isolate is a P. austrocedrae (Wagner and Werres, unpublishded data). It was isolated in 2001 from Juniperus horizontalis ‘Glauca’ (R. Ulrich, personal communication) and originated from a German nursery that imported plants. So it seems that P. austrocedrae has been present in Europe earlier than 2011. Seedlings of three Eastern US forest species Quercus rubra (northern red oak), Quercus prinus (chestnut oak) and Acer rubrum (red maple) were inoculated by applying Phytophthora ramorum sporangia to stems at different inoculum densities with and without wounding. Disease occurred in all treatments involving wounds, and no disease was observed in unwounded treatments. Younger seedlings (2–3 years old) did not differ significantly from older seedlings (5–6 years old) in disease incidence, but older seedlings sustained smaller lesions compared with younger seedlings. For both old and young seedlings, disease on wounded stems was observed down to the lowest sporangia concentration utilized (500 sporangia/ml for old seedlings and 100 sporangia/ml for young seedlings). The results show that in the presence of wounding, even very low sporangia concentrations can result in disease, and further suggest that wounding caused by insects and other factors may play an important role in P. ramorum epidemiology in forest environments. Studies by ECU show that banksia woodlands are critical for birds and plants in the south west. Dr Robert Davis says the researchers were astounded by the complete change in the bird community where dieback is prevalent. Jarrah and, particularly, banksia are susceptible. Currently, quarantine is the only effective method of control. A lecturer in vertebrate biology, Dr Davis was drawn to the study of dieback in banksia in order to understand what was driving the disappearance of birds from the habitat. "We have the world's only proteaceous woodlands that dominate our biota. 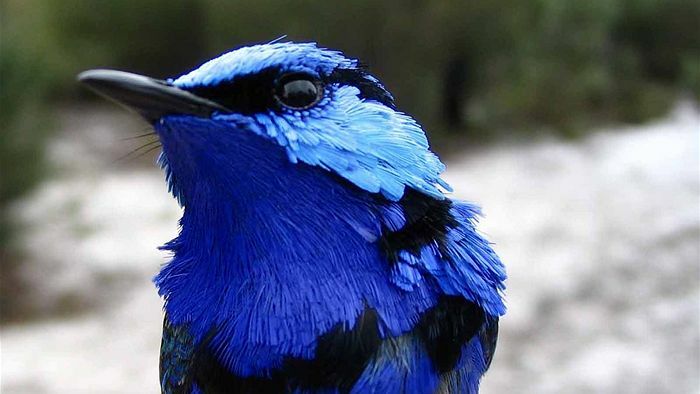 It's a precious unique system that supports a whole host of nectar eating honey eaters." Water used for the irrigation of plants has the potential to harbour and spread plant pathogens yet little research is conducted within this field. This review was undertaken to critically review our understanding of water-borne fungal and oomycete plant pathogens in open irrigation systems, particularly in the context of plant biosecurity. It was determined that very limited data exists on these plant pathogens, with the majority of previous studies only recording pathogen presence. There are significant gaps in our knowledge of pathogen survival and spread, and very limited information on their ability to cause disease when contaminated irrigation water is applied to crops. This review has highlighted the need for new research on the epidemiology and pathogenicity of putative plant pathogens isolated from water, in order to determine their risk to crops. The importance of regular monitoring of irrigation systems for the early detection of plant pathogens is also discussed. Strategies of attack and defence in woody plant–Phytophthora interactions. Forest Pathology. doi: 10.1111/efp.12096 Oßwald, W., et al. This review comprises both well-known and recently described Phytophthora species and concentrates on Phytophthora–woody plant interactions. First, comprehensive data on infection strategies are presented which were the basis for three models that explain invasion and spread of Phytophthora pathogens in different woody host plants. The first model describes infection of roots, the second concentrates on invasion of the trunk, and the last one summarizes infection and invasion of host plants via leaves. On the basis of morphological, physiological, biochemical and molecular data, scenarios are suggested which explain the sequences of reactions that occur in susceptible and tolerant plants following infections of roots or of stem bark. Particular emphasis is paid to the significance of Phytophthora elicitins for such host–pathogen interactions. The overall goal is to shed light on the sequences of pathogenesis to better understand how Phytophthora pathogens harm their host plants.